"Taking its title from Heinrich Böll's The Casualty, Paul Green's sequence is a deliberate, but general observation of the divides between the cultures belonging to the East and the West. More specifically, it is a long meditation upon the contentiousness of war viz. the Crusades, WWI, WWII, and now Iraq and Afghanistan. Gutter Talk is to be read as both response and investigation. Areas of information are layered, mixed and sieved in accor-dance with the way we receive news - by whatever censored or uncensored forms. Chance and intention combine to produce a resonant text, peculiarly opened by the necessity of its more formal restraints. 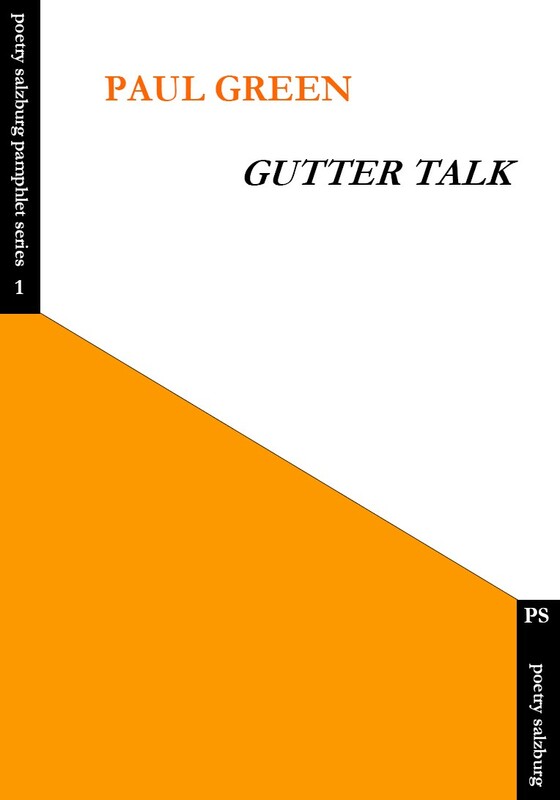 Gutter Talk is a topical poem, critical of attitudes and events, without being in any way dogmatic or programmatic." "I'm very engaged by Gutter Talk - Paul comes off as a weirdly eccentric character in much of the volume's (surface) verbal expression, but as a simultaneously deeply committed & probingly philosophical thinker beneath his drolly unruly voice."